Did you forget to brush your teeth recently? Perhaps you were on a trip and you couldn’t brush your teeth last night or you missed brushing your teeth before work when you had to leave in a hurry. 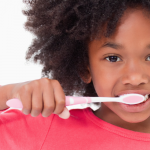 The bad news is that even missing one brushing can cause issues for your teeth and gums. 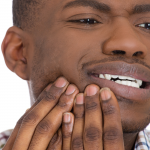 Even so, there are steps you can take to help restore and maintain a healthy mouth. When you don’t brush your teeth, you encourage the formation of plaque. You can tell if plaque has built up by running your tongue over the surface of your teeth. If your feel a fuzzy texture, that is a sign that plaque has formed. Plaque is a form of bacterial growth and can lead to dental issues like gum disease and cavities and can form a hard yellow film called tartar. 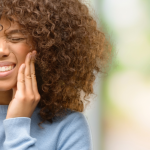 Tartar can cause further complications like inflammation of the gums and, if left long enough, can lead to cavities and even teeth needing to be removed. Brush your teeth twice a day, as suggested by the American Dental Association. This works best as a routine. Try brushing your teeth in the morning and at night every day regularly. Floss once a day. Plaque and tartar can build up between teeth. Flossing helps keep hard-to-reach areas clean. See your dentist regularly. A dental cleaning and checkup can help you maintain healthy teeth and gums for much longer. 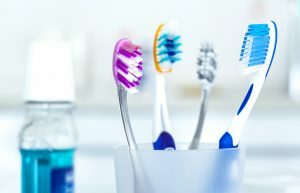 Forgetting to brush may lead to dental issues, but there are many ways to help restore and maintain your oral hygiene. Consulting with a professional at Penn Dental Medicine will lead you to a healthier mouth and a brighter smile. Penn Dental Medicine is the teaching clinic for the University of Pennsylvania and is centered on patient-focused care. Student dentists, supervised by faculty, treat patients in Philadelphia and the surrounding areas. The best of the University’s doctors are on-site at all times and assist with oral care. 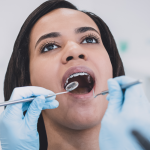 If you’re not sure that you’re following the best dental habits, need a cleaning or consultation, visit Penn Dental medicine for a general consultation or any other services to get your dental habits in check.